When you order products, whether you are confused about the size of products? At GS-JJ, when you browse our products in our exhibition ( on the bottom of website), you must think that those custom made medals looks like the same size . That is because our photographers take pictures more bigger on purpose. So you can clearly see our each details of products like texts, crafts and texture. How to Measure the Size of Products? In custom medals, there are seven sizes. You will see our details that described sizes. How we measures it, especially meeting irregular medals? We usually measure the longest edge of products in inches. 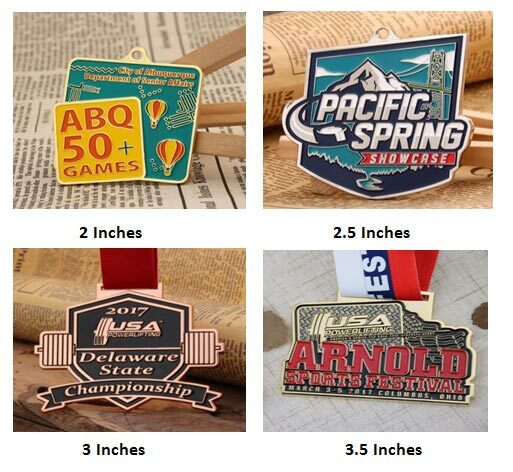 For instance, if it is round custom medals, we measure diameter, if it is rectangle custom medals, we measure the length, if it is irregular custom medals, we measure the longest price. 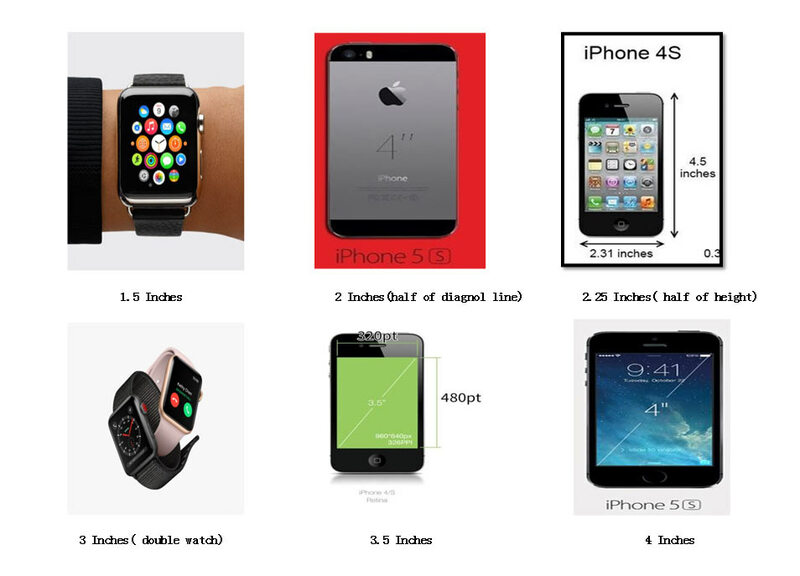 How to Perceive the Size of Products? Different sizes has different prices. So What about the charge? We will take charge on a basis of standard sizes, if your more than standard level of sizes, we will charge on a higher level. For example, if you order 1.8 inches products, we will charge on a basis of 2 inches and so on. I know you must still be puzzled with the size . Let’s use products of APPLE Inc. for example ( But the screen size of APPLE products is measured in diagonal line, while GS-JJ measure it in the longest edge), and then you can measure the sizes by yourself and estimate how big your product needs to be. 1.5 Inches is relevant to 3.81 cm and 0.125 feet. It is equal to screen size of Apple watch. 2 Inches is relevant to 5.08 cm and almost 0.167 feet. It is one half of the diagonal size of IPHONE 5/5S/5C/SE. 2 Inches is relevant to 5.715 cm and 0.25 feet. It is one half of the height of IPHONE 4/4S. 3 Inches is relevant to 7.62 cm and 0.25 feet. It corresponds to screen size of double Apple Watch. 3.5 Inches is relevant to 8.89 cm and almost 0.292 feet. It is equal to screen size of IPHONE 4/4S. 4 Inches is relevant to 10.16 cm and almost 0.333 feet. It is equal to the screen size of IPHONE 5/5S/5C/SE. How to choose sizes in Customizing Medals? Generally speaking, if your custom medals need to convey more information or clearly show your information, big size will be better for presenting what you want to express. Of course, small size seems to be more delicate and beautiful. It’s up to you! There are some tips for you to recommend according to our statistical data in our product database. According to different medals, the sizes are suggested as follow. 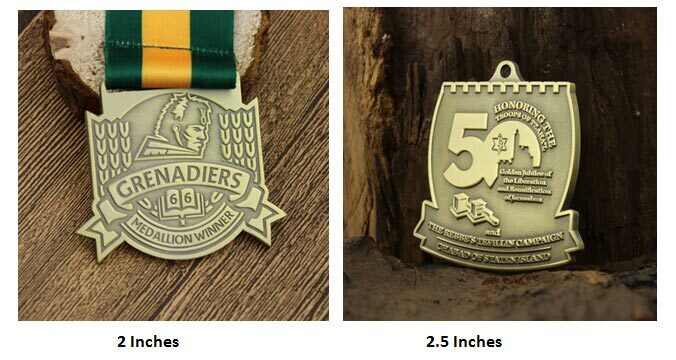 According to running medals products made by buyers at GS-JJ, almost 35% customers select 2 inches, 40% buyers choose 2.5 inches and 24% people pick 3 inches. Shown in sports medals in our database, the size of sports medals ranges from 2 inches to 3.5 inches. The ratio of choosing 2 inches, 2.5 inches, 3 inches is almost the same, up to 27%. Sports Medals with 3.5 inches are favored by 12% people. As shown in datum, 42% people are more fond of 3 inches and 2 inches. 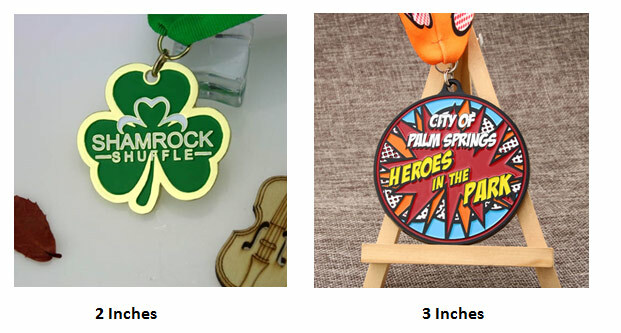 It is assessed that the size of award medals centers on 2 inches and 3 inches. 2.5 inches are chosen by people. 32% people like 2 inches while 21% people love 3 inches. Nearly 40% people select 2.5 inches to design their products. As for military medals, it is normal in sizes. It won’t be changed at will. Every department of military has strict regulations. In terms of different buyers, some tips are advised as follow. School usually select 2.5 inches to design their custom medals. It won’t big or small. Below 2.5 inches products are also ordered by customers. When clubs design their own custom medals, they prefer to choose small sizes. It want to be portable and looks like more delicate. Other buyers like organizations, enterprises, governments design their products according to their requirements. The big product has 5 inches and the small product has 1 inches. Now you must be feeling about the sizes and choose it, right? In custom made medals, it usually ranges from 2 inches to 3.5 inches. Any sizes can be ordered at GS-JJ. 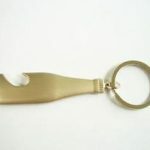 If you want to be portable or like delicate, smaller sizes will be more suitable. 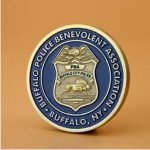 You can decide on the sizes of your products according to your everyday items, no matter whether is custom medals, custom lapel pins or others. If you have any other questions, you can email at Info@gs-jj.com. Welcome you to order our delicate custom made medals.